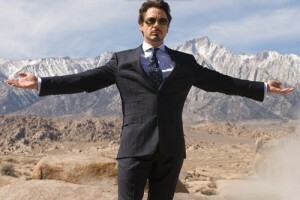 I didn’t want to do Tony Stark for “write your blog from the perspective of your favorite fictional character” but I couldn’t resist the allure. Hello everybody! Tony Stark here. I know you have all been waiting on pins and needles for my next post, but I have been pretty busy. I’d like to update you on my latest project (no, not the new Asgard) but the car of the future! Imagine a world without fossil fules. That’s Stark Resilient’s mission. We are taking the electric car to a new level. The same technology that powers my Iron Man suit will be used to power the new car from Stark Resilient. Repulsor technology gives unimaginable power in an incredibly small package. I have modified the technology so it cannot be weaponized so it is safe for consumer consumption. We are hoping to demo this car in the coming months and hope you come to check it out. We at Stark Resilient really are striving for a world where fossil fules are not the dominate force in energy. Stay tuned right here for more information as it becomes available. Next PostNext Topic 6: Zipper!